Powered by "Quake 1 Tech", it's not just a retro-looking FPS since it's powered by some of the same stuff the classics were. Thanks to this, it's also going to be easily moddable for new levels, weapons, characters and so on. 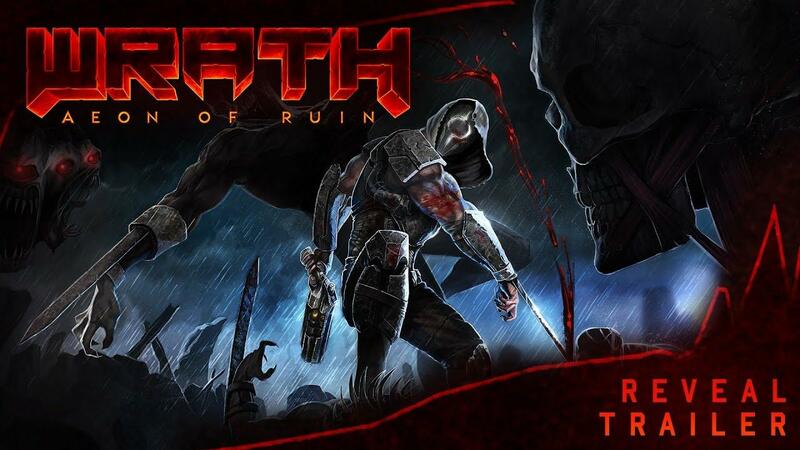 They've said the tools used to create WRATH: Aeon of Ruin will be available to all from day-1. The single-player sounds pretty good with "3 hubs and 15 enormous, interconnected levels crawling with hordes of enemies, lore and ancient secrets" making use of 9 deadly weapons each having multiple modes of firing. It will have multiplayer support too, powered by the QuakeWorld netcode which will include 4 player co-op, LAN and online play as well. As for the soundtrack, it's being done by Andrew Hulshult who worked on Quake Champions, Rise of the Triad, Dusk and Amid Evil as well as Bjorn Jacobson who worked on CyberPunk 2077, Hitman and EVE Online so you know your ears are going to be in for as much of a treat as your eyes. You can follow it on Steam. According to the Steam page, it will be available this Summer. I'm really loving this recent-ish influx of retro style FPS games. There is something almost indescribable about pixelated low-poly 3D graphics that I find oddly captivating. It's nostalgia about Doom 2, Duke Nukem 3D, Quake 1 or PSOne/PSX. Quote Which platforms will WRATH release on? This indicates Linux will get builds on early 2020. Not this summer. Quote Get your first taste of WRATH in Summer 2019, for Windows, Mac, and Linux, with Nintendo Switch™, PlayStation®4, and Xbox One following in early 2020. Got another press email only minutes ago which states that same, that consoles are later. Will seek to clarify. With so many Quake 1 engine forks floating around I'd be really surprised if they messed up so badly that a Linux release suffered delays. Hmmmmmmm....... something that I had never considered for indie game development - a major developer deliberately choosing to use outdated engines for cheap new games. Quake is fully open sourced, and if memory serves is a straight C++ affair. I bet this saves a lot of time. And they can focus on art direction, voice acting, etc. Because those are the things that you notice after a few hours of gameplay. I will definitely be keeping an eye on this, but I'm not really feeling the monster designs (the original zombies in Quake looked creepier than this) and the sprite trees in the beginning just look odd in the Quake engine. Enjoyed Duke Nukem 3D a lot which was my first thought as I read "3D Realms". jarhead_h Quake is fully open sourced, and if memory serves is a straight C++ affair.